So, DC unveiled the new cinematic Aquaman images, and Mike decided Superpub needed to take a whack at it. Mike was right. As stated previously on Blu-Ray, I don’t lose much sleep over these things – but that doesn’t mean I’m not scratching my head from time to time! It’s not just that the overhaul is relentlessly dour. That’s just standard DC, and we expect it. 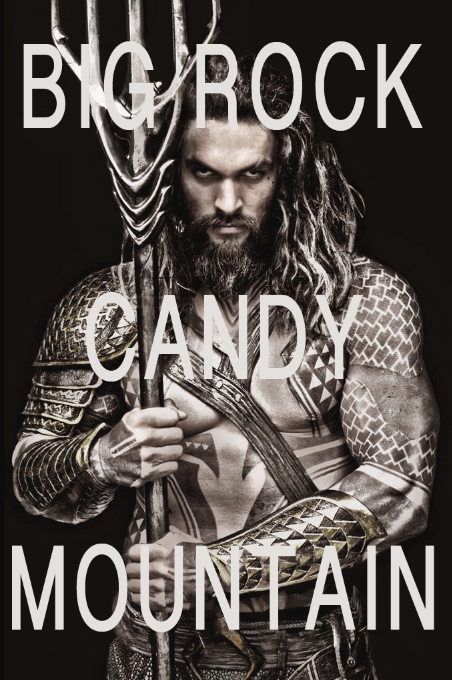 This new Aquaman looks like he licks Burger King wrappers beneath an overpass for sustenance. I was going to say he looks like a homeless Rob Zombie…but regular Rob Zombie already looks homeless, so that’s a bit redundant. Again, I don’t really mind any of this, other than the fact that the person who designed that outfit makes more than I do. So does Rob Zombie, so I guess the laugh’s on me, right? After having thought up the design for Joey’s new Snyderific look and having gotten a pretty funny script from Ryan, I began to regret wanting to do this. I’ve concocted a few slick cheats to do these strips somewhat quickly and Joe’s new duds totally railroaded all of them. Not only were we fast-tracking this one, which put me on a deadline (something I’m not used to with this) but I had to add a big gnarly beard and leg-barnacles to a character who appears in all three panels. Boo! However, I think the comic works. It’s funny, it looks good and it conveys the silliness of making a superhero look like a homeless guy who would do anything (and I mean ANYTHING) for a thimble-full of whiskey. “Hi, I’m the king of the seven seas. My throne is on the Great Pacific Garbage Patch. My home is the box your refrigerator came in. I’m here to help save the world.” His hair product is BP Oil. Does J-Momo look badass? Yup, he sure does. Does he look like a king? Nope, he sure doesn’t. Hope you enjoy the comic. Here’s J-Momo.